Learn how to add windshield washer fluid to Nissan Quest model years 2011-2017. Adding windshield washer fluid to a Nissan Quest is very easy and take less than five minutes. If your Quest washer fluid is low you will get a warning light on your dashbaord. It's is not recommended to use water in the washer fluid reservoir of a Quest. Open the hood of your Quest to access the washer fluid reservoir. The washer fluid reservoir on Nissan Quest is either white or translucent and has a wiper symbol on top. 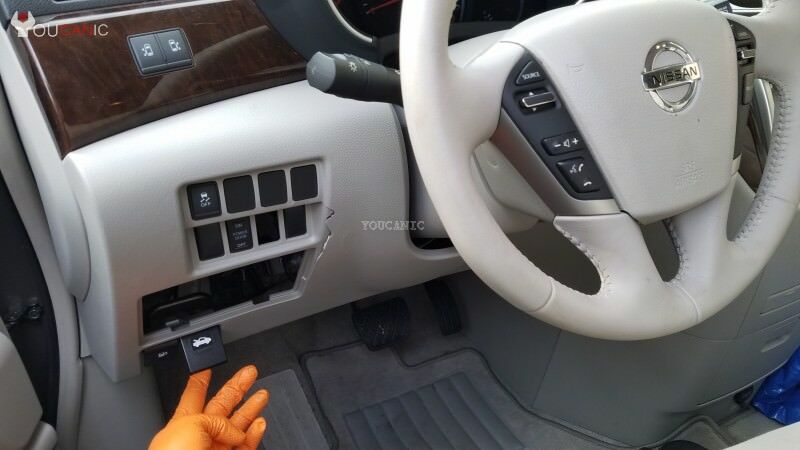 The rear wiper/lift gate glass uses the same reservoir as the windshield. Open the washer reservoir cap. If the washer fluid is low, you will need to add windshield washer fluid. 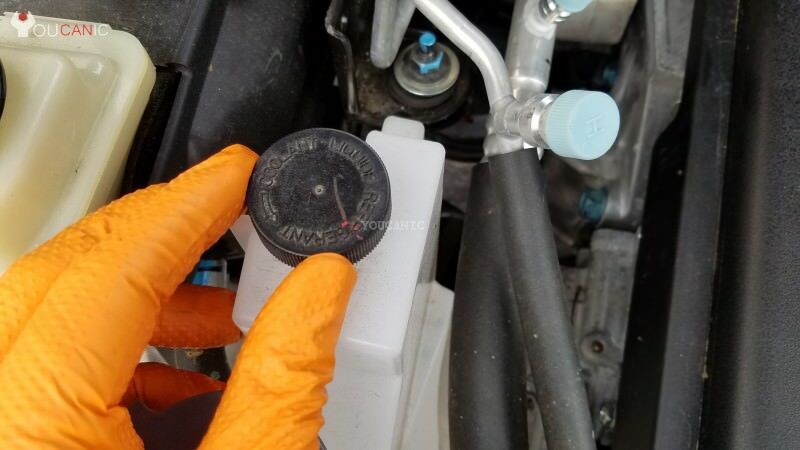 Add washer fluid until the level gets about two inches below the reservoir cap. Anti-freeze is poisonous and should be stored carefully in marked containers out of the reach of children. While you may be able to get away with using water in the summertime, in the winter months the water can freeze and crack the reservoir or damage the delivery lines. State or local regulations may restrict the use of volatile organic compounds (VOCs), which are commonly used as anti-freeze agents in washer fluid. A washer fluid with limited VOC content should be used only if it provides adequate freeze resistance for all regions and climates in which the vehicle will be operated. Do not substitute engine anti-freeze coolant for windshield-washer fluid. Do not fill the windshield washer fluid reservoir with washer fluid concentrates at full strength. Some methyl alcohol based washer fluid concentrates may permanently stain the grille if spilled while filling the windshield washer fluid reservoir. Pre-mix washer fluid concentrates with water to the manufacturer's recommended levels before pouring the fluid into the windshield-washer fluid reservoir.